Home » Health Care » How To Get Rid Of Chills And Stop Shivering When Sick? 3. What are signs of chills? 5. How to get rid of chills with natural treatment? 6. How to get rid of chills with medical treatment? 7. How to get rid of chills with a fever by seeing your doctor? 10.1. Are the chills a sign of fever? 10.2. How to know whether chills are with or without a fever? 10.3. Why my body is shivering? 10.4. Are the chills normal during pregnancy? 10.5. Does low sleep cause chills but no fever? 10.6. Can you get chills from anxiety? 10.7. Are chills a sign of cancer? 10.8. How to get rid of chills and body aches? In some cases, “getting the chills” is known as a typical phase when someone hears a spooky story or after watching a horror movie. But, our post today is mentioning the kind of chills you feel when you’re not well or sick. And below are some you need to study in order to understand clearly about chills and how to get rid of chills as soon as possible. The term “chills” is described as shivering or rigors, referring to the feeling of being cold without an apparent cause. Though, you should not mistake it for goosebumps. Indeed, chills are the first signal that your body wants to tell you that there is an upcoming fever. If you get infected by bacteria or viruses, your white blood cells instantly send a message to your brain’s temperature control center. Then it continues sending messages throughout your body to increase the temperature and prevent the infection by compressing your blood vessels and making you shiver. So, when you’re shaking, the extra muscle activity generates more heat while the constricted blood vessels stop that heat from getting away your body. And soon, you will feel shivering, sweating, trembling, and powerlessness to keep warm despite being covered under blankets. When shivering, you might think about the cold environment or a response to a viral or bacterial infection. Maybe, you’re right since both are leading causes to chills. However, there are still various conditions that might be causing chills. That’s why you don’t miss this part since it’s important to give you a more precise look before learning how to get rid of chills. As outlined above, chills are truly a reaction of your body to increase its temperature. Hence, extended exposure to a cold environment might lead to this condition. Besides, it’s accompanied by the paleness of the skin, shivering, and a feeling of coldness. Influenza or flu is an infectious respiratory infection caused by influenza viruses. According to the Centers for Disease Control and Prevention, this condition differs between individuals and might be known as a medical emergency for babies and seniors. And common symptoms that you might catch include chills, cough, fever, runny nose, headaches, sore throat, muscle and body aches, and fatigue. Over 200 viruses might cause the common cold, but the most common one is the rhinovirus. On average, adults get this infection about several times per years. And some symptoms that you can get consist of a sore throat, cough, congested or a runny nose, headache, fatigue, watery eyes, sneezing, cough and a low level related by mild chills . Strep throat is an inflammation in your throat and tonsils caused by group A Streptococcus bacteria. And one of the most common ways to recognize this condition is that you get a sudden fever and chill. In case the body is harshly dehydrated, the muscles begin to contract and then lead to chills without a fever. But, a fever might happen as well. And if the higher the fever is, the more dehydrated you will experience. Even, you can get other symptoms such as a headache, dizziness, vomiting or low overall body energy. Another primary cause of chills is the severe viral/bacterial sinus infection that mostly happens during or after a viral/bacterial cold or illness. The mucus is created from the viral infection while allergies lead to the development of bacteria since they live in your sinus cavities. From there, it results in headaches, pain, aches in your body, chills, and facial pain. As you know, pneumonia is an inflammation of one or both lungs, often caused by infection from viruses or bacteria. When fluid increases in your lungs, it makes breathing more difficult. Moreover, you feel pain in your chest and cough harshly. Usually, harsh coughs are the significant causes of chills which are experienced a deep cough with chest pain, phlegm, and shortness of breath. One of the first and common symptoms of malaria is fever and chills. This illness increases your body temperature as a natural defense mechanism to fight against viruses and bacteria. During each session of malaria, your body temperature might rise to 1040F (400C), leading to chills with a fever. Meningitis is described as an infection in the brain and spinal cord caused by a virus or bacteria. According to KidsHealth, this illness often appears with sudden fever and chills. As you know, a fever is how your body defense against viral infection and try to kill the virus by increasing the temperature. And an increased body temperature leads to chills and weakness. Urinary tract infections (UTIs) might bring instant shiver and chills with or without fever. Bacteria that access in the urethra causes this condition. And women are found to be affected more than men . Here are some symptoms that you should consider. UTIs can urge a feeling of a full bladder and make you visit the bathroom more often. If this condition reaches to your kidney, it will create severe shiver and chills. Strong and cloudy smelling urine is usually noticed when you catch UTIs. Additionally, dehydration, other bladder/kidney infections, and an autoimmune disorder might create this issue. The infection in the bladder also brings an extreme pain while urinating. Low blood sugar, or also called hypoglycemia, is known as a medical condition that is often related to diabetes. If the glucose/sugar level decreases to such an extent, your body stops functioning accurately and causes shaking chills without a fever. Besides, you might feel other symptoms such as a pounding heart, sweating, anxiety, and hunger . What are signs of chills? The next thing you should understand is that this condition might remain for several days regularly or can appear randomly. But, how do you know whether you catch a chill or not? Take a look at some common signals before learning how to get rid of chills! When your body is exposed to the sudden cold environment, your muscles instantly shrink since the body generates heat to expand the inner temperature. And this leads to shaking or shivering. As your body temperature changes, slight fever might happen. And you need to check the temperature by using a thermometer. If you reckon that the cold environment prevents the body from heating, you are wrong. Your body tries to create more heat in this condition and makes your warmer places like armpits start generating more sweat. You might notice goosebumps on the skin whenever feeling cold or even in moments of stress. If you are in the excessive cold, your teeth begin to chatter to enhance the internal temperature. That’s why chattering teeth is accompanied with chills. Whenever your face starts shivering or chilling, what will you do? Take the thermometer and measure the temperature, right? In case you only get a chill without a fever, please consult some useful tips below. Firstly, keep calm and avoid panicking. Then take some warm clothes and drink the warm liquid. Take a warm shower later. Finally, sleep for hours in a warm blanket. If you feel better with these tips, it’s okay to repeat. Also, we show other methods that you can perform and combine in order to eliminate chills quickly and effectively. How to get rid of chills with natural treatment? Before starting how to get of chills, remember that these natural treatments are for those who are getting a chill with a mild fever or without a fever. Start helping your body in its combat by getting a good rest as well as spending as much time sleeping as you can. It’s because the body temperature will cool down when you are in sleep. But, that doesn’t mean that you have to stay in bed all day. Note that you only get 8-9 hours every night to decrease the harshness of your chills. Let’s relax your body by drinking as much water as possible since dehydration is also the leading cause of your chills. Besides, make sure you drink warm water because it doesn’t only keep you hydrated but also keep your body temperature warm. Remember to bring a bottle filled with warm water and drink it every 30 minutes. Just take a warm bath or shower to soothe your body in case you experience a sudden shiver. After that, you should avoid entering an AC room or any cold environment for about 10-20 minutes to stay warm. This remedy helps to warm up your body as well as preventing uncontrollable shivering efficiently. It also works well to clear chest and nose congestion. How to get rid of chills with steam treatment? Prepare a large vessel with hot water. And then you can add a drop of eucalyptus or menthol to the water. Cover the pot and your head with a towel. Inhale through your nose for 30 seconds. Keeping your body warm doesn’t mean that you have to wear more clothes. Indeed, when being chills, your body temperature is too high. Hence, you should decrease it to feel warmer. Let’s reduce excess heat by dressing lightly such as a thin shirt and then cover up a thin blanket if necessary. Avoid piling too much, or you might increase the body temperature more. In case you’re dealing with uncontrollable shivers because of anxiety or stress, one of the best and natural ways is to meditate. Sit up straight and concentrate on clearing thoughts in your mind to decrease anxiety and then reduce your shivering . Performing a healthy diet is known as a right way on how to get rid of chills without a fever. Try to eat some small forms of nutrition every hour and combine eating protein. Don’t forget to intake more steamed or boiled green vegetable and fresh fruits. And NEVER miss any meal in a day. Enjoying a delicious and warm bowl of chicken soup is a great treatment for those who are suffering from chills as well as fighting against respiratory tract infections and flu. But, how to make it? Prepare some necessary ingredients to cook such as sage, onions, apple cider vinegar, thyme, celery, and carrot. Try to use small-sized chickens to bring out a richer flavor and broth. Cook all together and remember to add turmeric, ginger, and garlic to increase its effectiveness. Lemon is famous for its antioxidant and medicinal properties. Importantly, it can prevent viral and bacterial infections efficiently. So, how to get rid of chills with lemon? Take a look here! Mix ½ tablespoon of grated ginger and 1 ½ tablespoon of lemon in a cup of warm water. Drink it when your stomach is empty or after meals. Just note that if you are suffering from acid reflux, avoid using it on an empty stomach. Drinking herbal tea is helpful in controlling your chills frequency. Also, it infuses essential minerals and vitamins to the body. Down here to know how to make it? Add some teaspoons of dried herb in a vessel. Bring one cup of water to boil. Then, pour it into the herbs. Let’s it soak for 15 minutes. Strain and drink. Or you can add cream, honey or sugar to taste. As outlined above, chills can be accompanied with UTIs. Hence, drinking cranberry juice is beneficial to eliminate toxins from the body and treat infection well. Two to four glasses of cranberry juice every day will be good for your health. We all know that a regular exercise program can do excellent things for our health such as boosting the immune system, optimizing vitamin D levels, stabilizing the insulin levels, and so on. But, whenever struggling with chills, we tend to stop exercising. Avoid doing it because exercises really help us feel better. So, how to get rid of chills by exercising? A gentle exercise, a short walk around your living place or do yoga will reduce the frequency of chills. Remember to wear some warm clothes while exercising. Don’t expose to the cold environment after exercising. If you often exercise in a gym, please consider mild exercises instead of running hours on the treadmill, for example. Some studies have pointed out that active people suffer fewer chills. Moreover, they can stop catching a chill in the first place. A 2002 study found that people who exercised regularly underwent about 20-30% fewer chills. Besides, the 2006 trial proved that moderate exercises such as aerobics decreased the danger of chills in women by half. Indeed, raising your body temperature by sweating from doing exercises will kill many viruses. But, it’s best to listen to your body and be careful of performing a full and usual exercise routine. And avoid exercising too much, or you might get the opposite effect on the immune system. Another great way on how to get rid of chills, especially those who catch a chill suddenly or randomly, is to intake vitamin B supplement. But, why is only this supplement profitable to the body? As outlined above, chills without a fever might lead your body to lose extra energy through shaking and shivering. And consuming vitamin B supplement helps to decrease chills and improve your overall body energy. Besides, it stops headaches and fatigue that your body is experiencing when getting a chill. 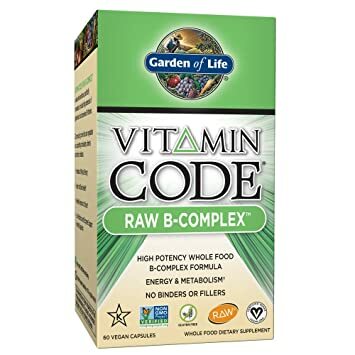 Garden of Life B vitamin boasts its gluten-free, vegan-friendly, dairy-free, and non-GMO ingredients. Moreover, it includes the enzyme and probiotic blend, which supports digestive function. What’s more, it contains a vegetable and fruit blend for extra nutrition. With only 2 vegan capsules every day, you can increase the energy and improve the mood to deal with chills. Vitafusion gives a vitamin B complex supplement which comes in a strawberry-flavored gummy form (ideal for kids) and contains no gluten. Although it only has six B vitamins instead of eight, it’s beneficial for the right functioning of your body, especially supporting your immune system. How to get rid of chills with medical treatment? In case your chills are still making you uncomfortable after applying the natural remedies above, we suggest that you should use some medical treatments to lower and fight chills better. Aspirin (Bayer) is an NSAID (nonsteroidal anti-inflammatory drug) and one of the most common over-the-counter medications to deal with minor pain from the body. Although it efficiently decreases lower fever in adults, avoid giving it to children because it has been related to Reye’s syndrome. Acetaminophen (Tylenol) can help to lower fever as well as the aches and any side effects in the body efficiently. But, in case you have any liver issues, avoid using it without consulting your doctor’s advice at first. Ibuprofen (Advil) is similar to aspirin since it’s an NSAID. But, you can use this drug for all infants, children, and adults. As with any medication, make sure to read their instructions carefully and take them as directed . If you’re wondering how to get rid of chills with homeopathic medicines, you need to check with your doctor to ensure they’re safe, especially if you’re following other medications. Indeed, homeopathic medicines are known as the natural ones that are for fever without requiring antibiotics or other medical attention. Although there is no scientific proof for their effectiveness, some are sold as natural fever remedies including Apis Mellifica, Aconitum, Bronia, Belladonna, Gelsemium, and Ferrum Phosphoricum. How to get rid of chills with a fever by seeing your doctor? After 48 hours of home care above and you still feel uncomfortable, even your fever increases over 101.40F (38.60C), you should call your doctor instantly. How to get rid of chills? The best way, of course, is to understand what is causing them. If you recognize some symptoms such as difficulty breathing or moving, confusion, severe headaches, stiff neck or painful urination, you need to seek instant medical attention. And then talk to your doctor all the symptoms you’re experiencing so that he can give a proper diagnosis. In case you are diagnosed with a bacterial infection like a UTI or strep throat, you will get an antibiotic medication to treat it. Make sure to follow the prescription as directed, and then your chills together with other symptoms will disappear within days. Don’t stop taking it right after you feel better or you might get chills in the future . Now, you can follow some treatments that we’ve mentioned above. Additionally, keep in mind that the most critical thing that you should care is all about the age and body temperature of the person who catches a chill. Children always need particular attention for their issue since they cannot be treated as adults. In case you apply all the natural remedies, but they are still uncomfortable, seeking your doctor will be your best source of information. Avoid drinking alcohol and caffeinated beverages like coffee since they dehydrate the body. Avoid consuming cold foods such as cold drinks or ice-creams as well. Avoid using refined foods with refined flours and sugars. When you are dealing with methods on how to get rid of chills, you might sometimes hear some old wives’ tales. However, most are incorrect, and you should beware of them. Some suggest using a washcloth soaked in rubbing alcohol and then wipe it on the skin to make it cooler. And this helps to reduce the chills with a fever. But, your body might get a risk of alcohol poisoning, especially for kids. Hence, the best way is to use lukewarm water to avoid harmful side effects. Catching a chill with a fever is not a bad thing unless your body temperature is too high. So, if you try to cover yourself in thick blankets, you only worsen your fever since this increase the temperature more. Some reckon that high temperatures relate to a fever while low temps are cold. And consuming more or fewer calories will make the temperature go up for a cold and down for a fever. Of course, it’s wrong. No matter what your body temperature is, always eat healthy to protect the health. Are the chills a sign of fever? If you’re here, you definitely know that chills accompany a fever when the body tries to heat itself to attain the necessary temp to fight against bacteria or virus. But, note that chills might take place in conjunction with a fever but might be the product of various types of bacteria, virus, and pathogens or other procedures such as blood transfusion or different drugs. How to know whether chills are with or without a fever? The simple and best way is to use a thermometer. In case of chills without a fever, you won’t see any high reading on the thermometer. Why my body is shivering? If your inner body temperature decreases, the shaking and shivering begin to keep homeostasis. Besides, shivering helps to generate energy through muscles contraction in order to enhance internal temperature. Are the chills normal during pregnancy? During pregnancy, hormones are on an infinite roller coaster. For most women, the waves in progesterone and estrogen lead to sweating and make them feel hot all the time. But, women sometimes respond with the opposite set of symptoms and feel chills or cold. Although it might be a standard issue, you should be careful. If you get chills again and again in a short time, it’s best to visit your doctor and learn how to get rid of chills. Does low sleep cause chills but no fever? Certainly YES. Lack of sleep changes the body temperature to mild heating and cooling. And sleep-deprived humans might be more vulnerable to heat loss with reduced capacity to warm. Can you get chills from anxiety? Are chills a sign of cancer? Having one symptom or sign might not be enough to affirm that you’re getting cancer. However, in case you have the rash together with chills, a high fever, a sore throat, and achiness, your doctor can easily figure out a clearer picture of the disease. And then he will perform necessary medical tests like blood tests or X-rays. How to get rid of chills and body aches? Since chills might accompany body aches, you can apply some methods above to get rid of both chills and body aches at the same time. Let’s cover yourself in a warm blanket to increase the body temperature and decrease chills. Additionally, don’t forget to take some over-the-counter medications such as ibuprofen or acetaminophen to deal with body aches. How to get rid of chills with or without a fever? With all the best and greatest treatments stated above, it’s easy for you to follow and perform. Make sure you can determine what causes your chills so that you can do correctly. Or if your chills are severe and you cannot apply home remedies, just take a visit to your doctor. In case you still want to know anything related to this topic, please send it below in our comment section. We’re always ready to support you.